“And the award goes to …” Earlier today, I attended my second assembly at Titus the Honorable’s school. The first one was exciting; it was his Christmas program, and halfway through, a kid on the front row threw up. The Christmas miracle was that in an auditorium packed with people, no one else followed suit. For today’s assembly, we got an invitation from the school principal. 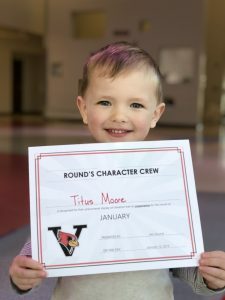 She told us Titus had been chosen to receive a character award for the month of January. He was identified as having the character trait of cooperation. As Titus’ class filed in, I was standing in the back. Titus was surprised to see his mom, dad, little brother and Poppy in the room. A big grin came over his face, and he started waving at us. Truth be told, I had a bigger smile and much larger wave. At the end of the program, Titus was called to stand in the front with some other students and receive his award. I was one proud Poppy as you marched up to the front to receive that well-deserved award. I have been encouraged by how much you have grown, becoming less self-centered and using your time and talent to serve others. You have been exercising those servant muscles, and they are getting strong. You are starting to recognize on your own places that have needs and then moving toward those needs without anyone asking you. With your new little brother coming in March, your family will be relying upon you to use those servant muscles even more. 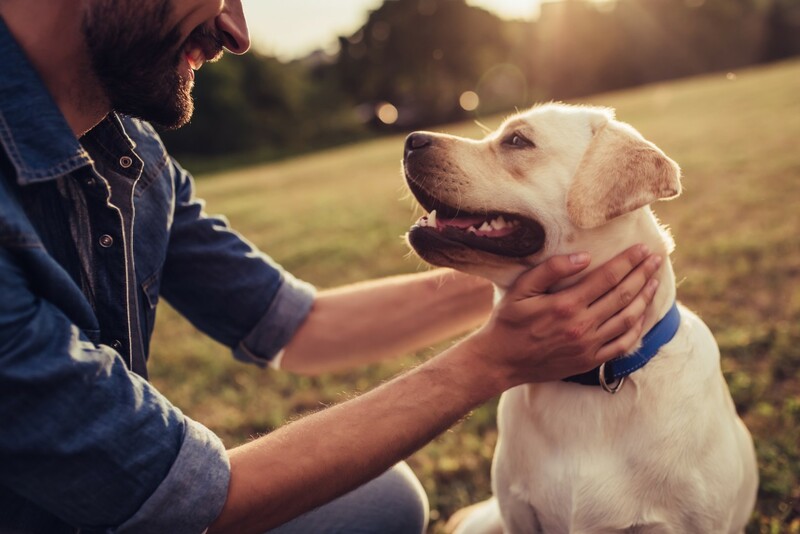 I know you have a while before you can become a capable, responsible, self-reliant adult, but you are leaning in the right direction to become a man. It isn’t easy to become a well-rounded man, but character is an essential part. Titus, I need to tell you that character is not an award but a condition of the heart. It isn’t something you try to be; it is something you are. One of these days, you will understand that reputation and character are two completely different things. Reputation is what others think about you; character is the foundation on which your principles stand. And blessed is the man others see as someone with both a godly character and reputation. Character is a choice. Every day, every hour of the day, you have to decide what kind of man you want to be. The best way to do that is to find someone whose character and reputation are in line with Jesus and model him. I wish I had a man like that when I was your age, someone who would have taken my hand and instructed me in the ways of developing good character. The father has the job of doing this, but many fathers are too busy or just don’t know how. Titus, you are never too young to start learning how to walk as a man of good character and reputation. Your name and title, “Titus the Honorable” were given to you by your father as a way to remind you that your goal in life is to make good and godly decisions. If you were to ask me where to learn character, I would say, “the forks in the road.” These are the places where you have to choose between good and evil. The choice may seem simple, but it’s not. The evil way is paved with deception, and what it promises, it cannot deliver. The good path will lead to peace. Even at your young age, you have already come to some of these forks in the road. Here, your mind, will and emotions war against each other. Yes, character comes from two things. First, know God’s holy Word. God has given you a guidebook to use when you come to the forks in the road. Learn its wisdom; hide it in your heart; but most of all, obey it. Second, trust the Lord. You may know the truth, but the truth is only as deep in you as your trust in the One who holds the truth. Know the truth, trust the truth, and you will continue to grow into a man of godly character. I am proud of the many things you do, but I am the proudest when people tell me you are a young man of good character. Love you, Titus the Honorable!